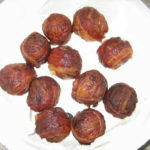 Yet another in a series of bacon wrapped treats is the infamous Moink Balls. There are a bunch of different varieties out there and you can stuff them with just about any filling you want. 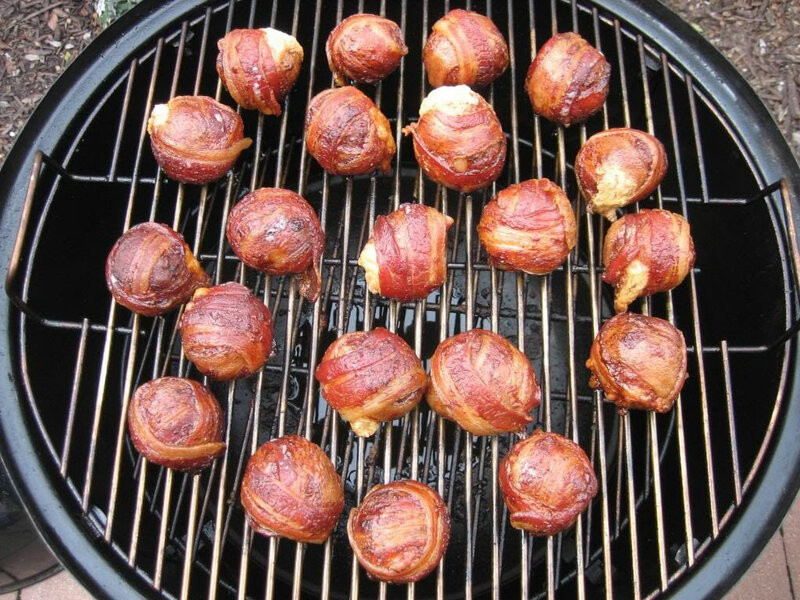 For those of you that don’t want to take all the prep time you can just wrap bacon around a defrosted meatball and call it a day. I don’t mind killing a little time in the kitchen so here is the Moink Ball Rad Fondo style. Get your smoker, grill, kettle fired up with your wood of choice. I like to run my WSM at around 325/350 with no water in the pan basically just throw a full chimney of lit onto some unlit coals and wood. 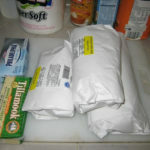 I want it to be a quick cook 1-1.5 hours. 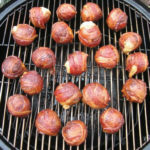 By the time you have the Moink Ball’s prepped you should be ready to cook. 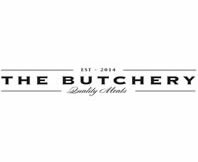 In a large bowl mix together the hot and mild sausage and the spicy apple seasoning. I use latex gloves and mix it by hand. 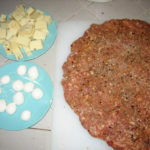 Once mixed I roll out around 20 meatballs just a bit smaller than a golf ball. Once this is done make a small dent in each ball. Stuff the cream cheese and the pepper jack chunk into each hole and reform so that the cheese is tucked inside. 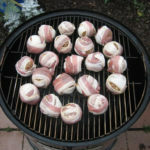 Next wrap each ball with a slice of bacon. When your smoker is up to temp and running clean place them onto the rack and shut the door. Check after 30 minutes and every 15 minutes until done. My average cook time is around an hour but your mileage may vary. 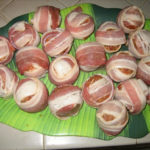 You can serve them as is or give them a quick coating of bbq sauce about 5 minutes before you pull them off. Enjoy!